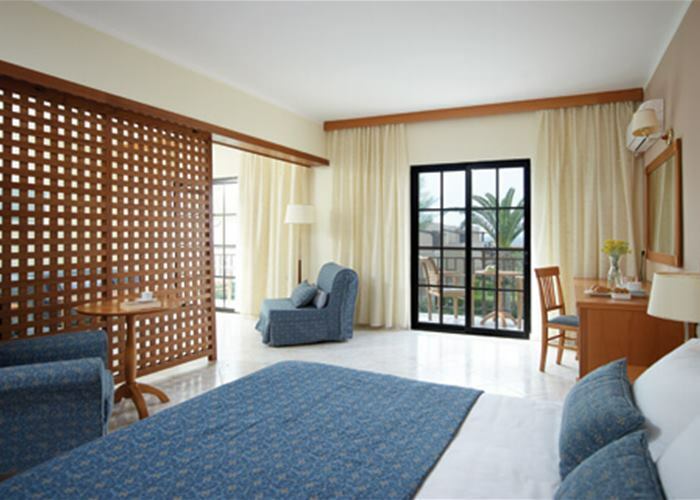 These are spacious rooms decorated in a classic style and sleep up to 3 people. 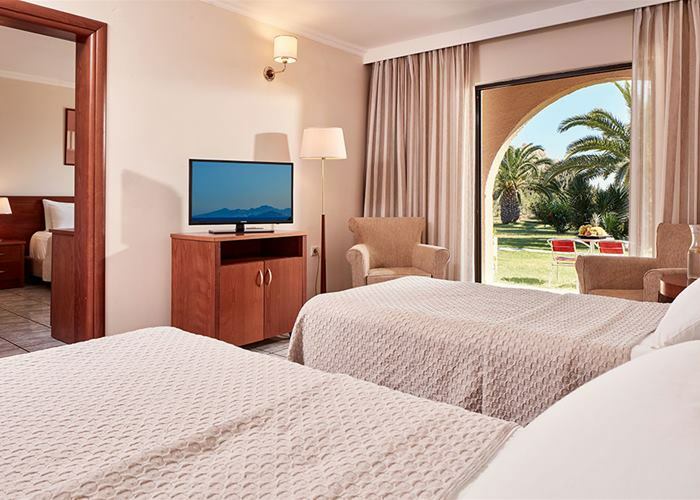 Double rooms are with garden view and come complete with mini fridge, LCD TV and air conditioning. 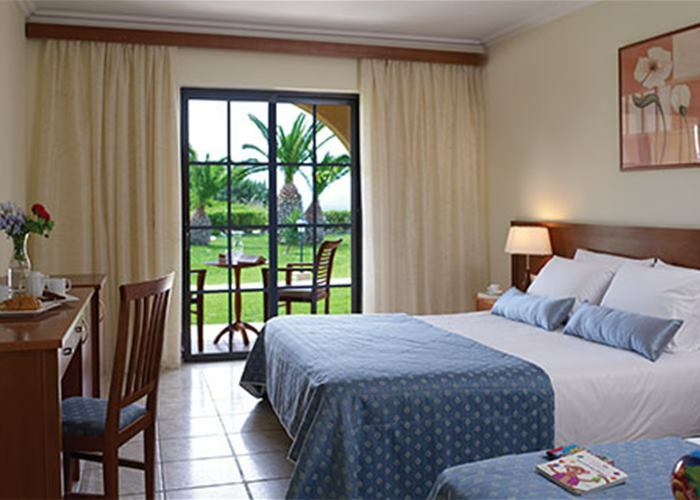 These are spacious rooms decorated in a classic style and sleep up to 3 people. 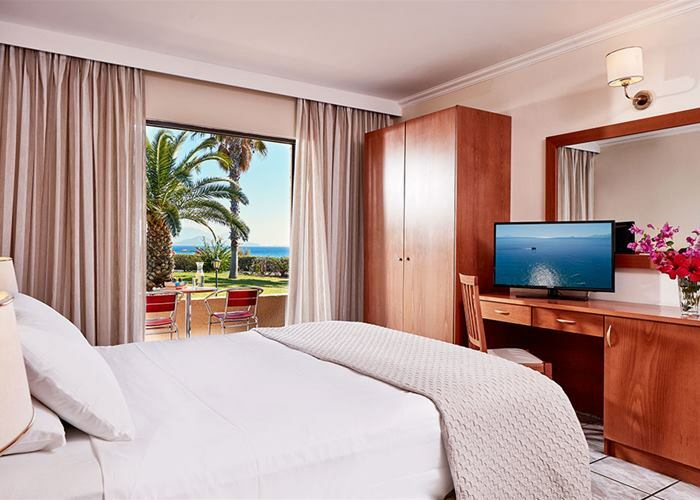 This sea view room comes complete with mini fridge, LCD TV and air conditioning. Family rooms are perfect for practical space when travelling with the little ones. They sleep up to 4 people with a maximum of 3 adults and has a garden view. 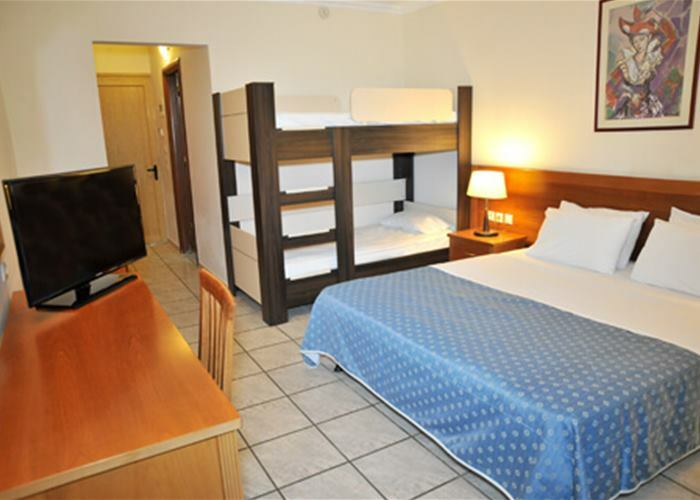 This large room has a double or twin beds and either 2 sofa beds or bunk beds with mini fridge, LCD TV and air conditioning. Family rooms are perfect for practical space when travelling with the little ones. They sleep up to 4 people with a maximum of 3 adults and are with a side sea view or garden view. This large room has a double or twin beds and either 2 sofa beds or bunk beds with mini fridge, LCD TV and air conditioning. Privacy is sometimes key to a good night's sleep so these suites offer two sleeping areas, separated by a closing door. They sleep up to 4 people with a maximum of 3 adults and the lounge easily doubles up into a sleeping area with 2 large sofa beds. 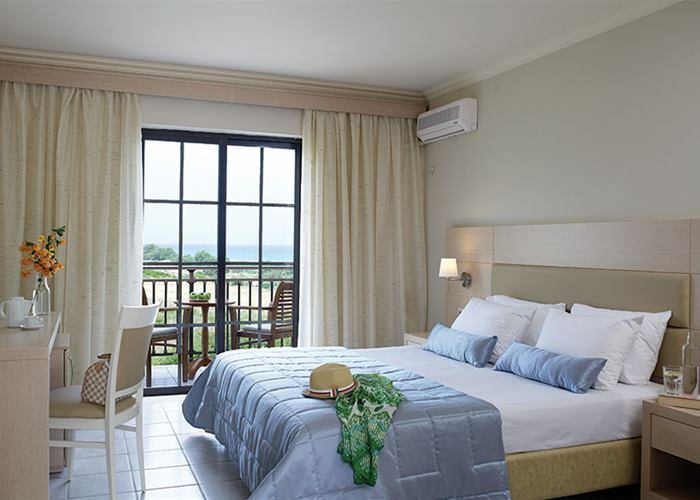 Suites have a side sea view or garden view and come complete with mini fridge, LCD TV and air conditioning.